A motor vehicle accident involving a motorcycle, a pickup and an SUV near Vancouver, WA resulted in one fatality and multiple other drivers being hospitalized. News reports indicated that the crash occurred on Interstate 5 in Ridgefield, WA near the Carty Road overpass. Officials reported that the collision occurred around 1 p.m. in the northbound lanes of the interstate. A Ford F-250 was allegedly being driven by Eldon Ford, a 33-year-old man from Ontario, OR. Police believe Ford slowed down to exit the roadway and onto the shoulder when he was struck by a Honda CR-V from behind. The Honda was driven by Wanda Dodd from Bellingham. Dodd lost control of her vehicle due to the impact and then struck a second vehicle and that being a Harley-Davison motorcycle that was traveling in the middle lane. These two collisions caused the CR-V to roll multiple times. The motorcycle veered off the roadway immediately and the driver was ejected from his bike. The driver of the motorcycle was reportedly pronounced dead on the scene. Upon arrival of firefighters and officials, firefighters had to extract Dodd from the CR-V and she was taken to PeaceHealth Southwest Medical Center to get her injuries further examined. The driver of the Ford pickup was transported to Legacy Salmon Creek Medical Center and his condition was unavailable to the public. Immediately following the crash State Patrol closed down northbound lanes for further investigation. Washington State Patrol (WSP) has not released the information if there will be any citations distributed. As to why the pickup pulled over from the beginning is still left to be unknown. 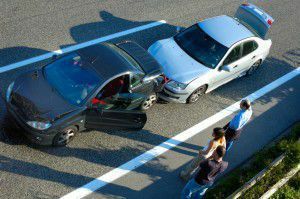 A motorcycle accident pile-up is one of the most dangerous and deadliest of collisions that can occur on an interstate.